Glarus is the capital of the canton of Glarus in Switzerland. Glarus municipality since 1 January 2011 incorporates the former municipalities of Ennenda, Netstal and Riedern. Glarus lies on the Linth River at the foot of the Glärnisch foothills in the Glarus Alps. Very few buildings built before the fire of 1861 remain. Wood, textile, and plastics, as well as printing, are the dominant industries. The symbol of the city is the neo-romanesque city church. 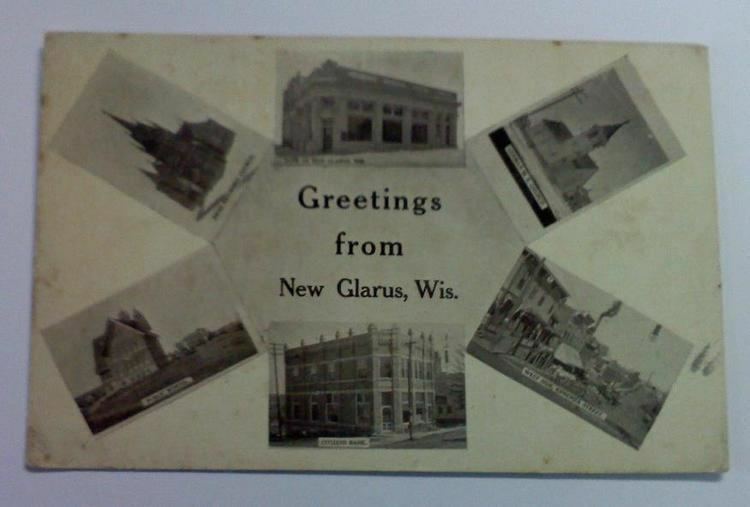 Glarus is first mentioned in the early 9th Century in Latin as Clarona. 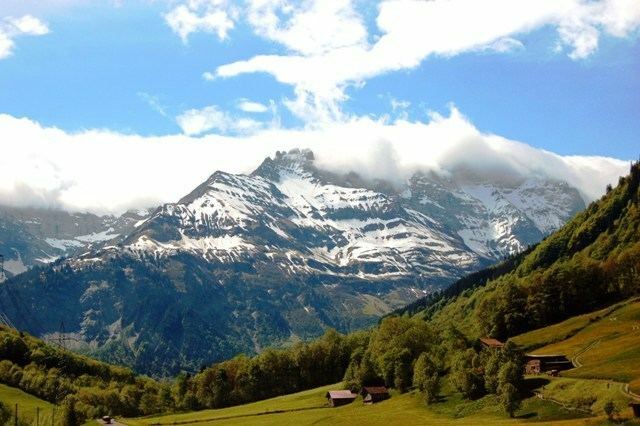 In 1178 it was first mentioned in German as Glarus. On 10 February 878, the Emperor Charles the Fat gave his wife Richgard or Richardis the monasteries of Säckingen, of St. Felix and of Regula in Zürich as a royal estate. This land grant included extensive political rights and a large estate. This estate covered land in the Rhine and Frick valleys, the southern Hotzenwald, land in Zürich, along Lake Walen and the valley of Glarus. Glarus remained under the authority of the Abbey until 1395, when the Glarus valley broke away from the Abbey and became independent. In 1528 the Reformation gained a foothold in Glarus, directed by Zwingli in Zürich. Even though he had preached in Glarus for 10 years, the town remained strongly Catholic. However, following the Second war of Kappel in 1531 both the Catholic and Protestant residents were given the right to worship in town. This led to both religious groups using the town church simultaneously, an arrangement that caused numerous problems. By the 18th Century both the groups shared the church but had separate organs. In 1697 there were two financially and theologically independent parishes meeting in the city church. Following the French invasion in 1798, Glarus became the capital of the Canton of Linth in the Helvetic Republic. The administration of the Canton moved into Glarus. However, the new administrators had difficulties in establishing and enforcing any new regulations. 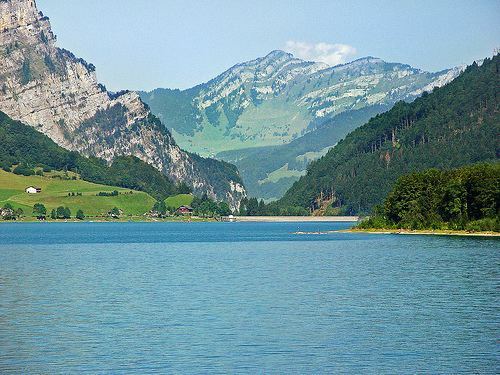 In August 1802 the administrators of the new Canton left Glarus for Rapperswil due to the difficulties they had faced in Glarus. In 1803, with the Act of Mediation, the Canton of Linth was dissolved and Glarus became the capital of the smaller Canton of Glarus. In 1859, the railway reached Glarus from Weesen. The extension to Schwanden and Linthal opened in 1879. On the 10/11 May 1861, the town was devastated by a fire that was fanned by a violent Föhn or south wind, rushing down from the high mountains through the natural funnel formed by the Linth valley. The total loss is estimated at about half a million sterling, of which about £100,000 were made up by subscriptions that poured in from every side. About two-thirds of Glarus (593 buildings) were destroyed in the big fire. After this incident, Glarus was rebuilt in block fashion according to construction plans by Bernhard Simon and Johann Caspar Wolff. In 1864, the first European labor law to protect workers was introduced in Glarus, prohibiting workers from working more than 12 hours a day. The town is located in the Glarner Mittelland on a broad valley floor between the Glärnisch mountain and the Linth river. Glarus municipality before 2011 had an area of 69.2 km2 (26.7 sq mi). Of this area, 23% was used for agricultural purposes, while 31.4% was forested; of the rest of the land, 2.7% was settled (buildings or roads) and the remainder (42.9%) was non-productive (2006 figures). With the incorporation of Ennenda, Netstal and Riedern in 2011, Glarus municipality now has an area of 103.6 km2 (40.0 sq mi).